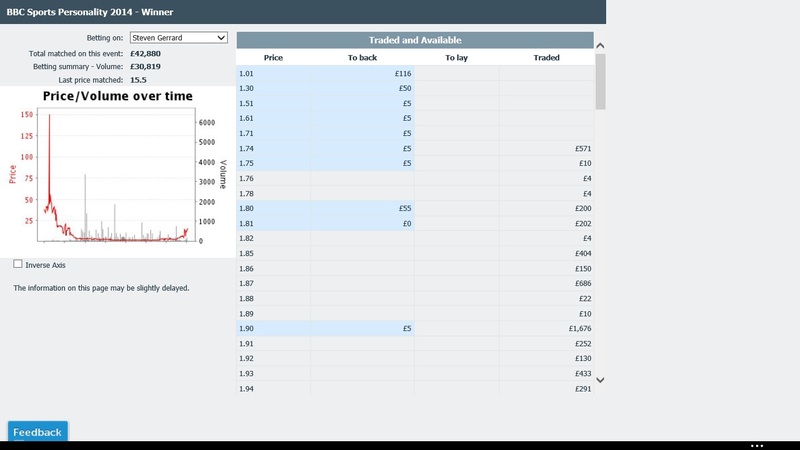 It’s of course very likely that Man City will win the title today (trading at 1.05 on Betfair). However, it is worth keeping an eye on the SPOTY market just in case something unexpected happens and West Ham take the lead at some point. In relation to this we have some very useful information about what may happen to Steven Gerrard’s SPOTY price. 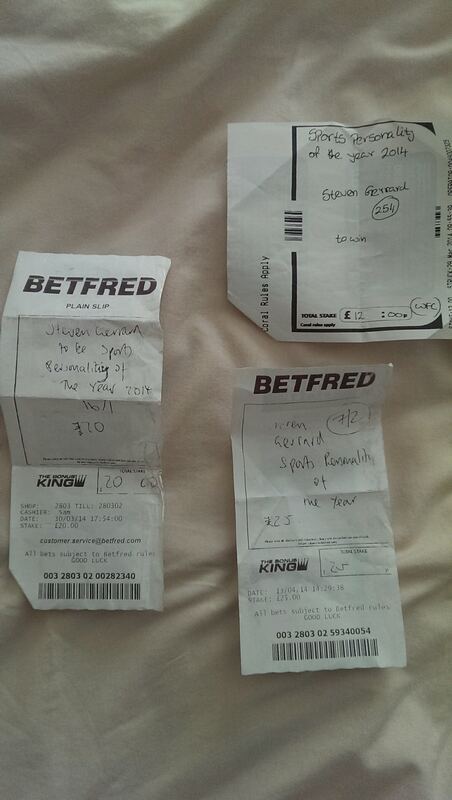 A couple of weeks ago when Liverpool were long odds on to win the title, Gerrard went down to as short 1.74. So if Liverpool won the title then we should fully expect such a price again, probably even shorter. I’ll be posting in more detail at some point soon about how other (more likely) opportunities similar to this can come about during the year and how such opportunities can be traded effectively.